From the rise of AI, the gig economy, and continued digital disruption, today's rapid transformation brings to mind the words of Jack Welch, who warned: “If the rate of change on the outside exceeds the rate of change on the inside, the end is near." That was certainly true for half of the Fortune 500 companies which disappeared over the last 15 years. Survivors and newcomers alike are embracing the need to ride the waves of digital disruption. To do that, they need people who are able to adapt to and lead change. These 4 areas represent complex skills at the pointy end of Bloom's taxonomy and they all require considerable support and development to achieve... and therein lies the rub! At a time when Learning Professionals should be taking our 'seat at the table' to help support transformation, most Learning and Development functions are struggling to justify their existence. We only have ourselves to blame. In our rush to commoditize and sell training, our industry has focused on packaging formal learning over performance; and pushing explicit knowledge over empowering lasting behavioral change. It's understandable. Consistently helping to develop high performers is no simple matter. Their pathway will be scaffolded by formal learning, but the key will involve tapping into the rich developmental goldmine of collaborative and experiential learning, combined with the habitual practice of reflection and correction. For Learning and Development, that means breaking out being 'course factories'. 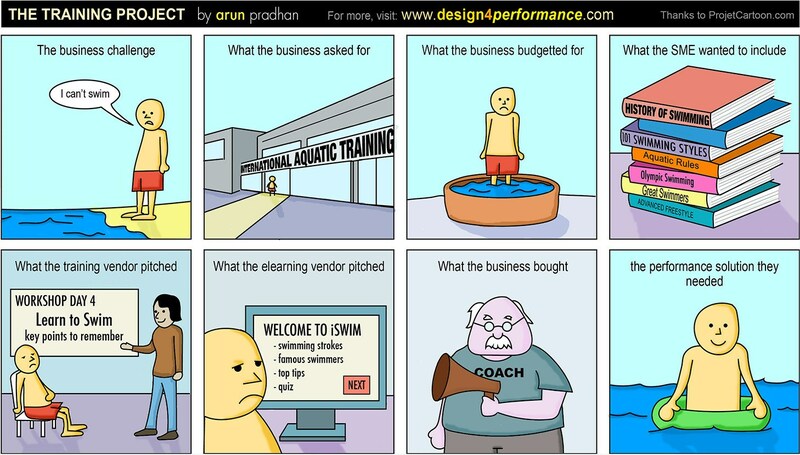 It means embracing 70:20:10 principles by designing performance support and learning that is integrated into and organically drawn from the workflow. 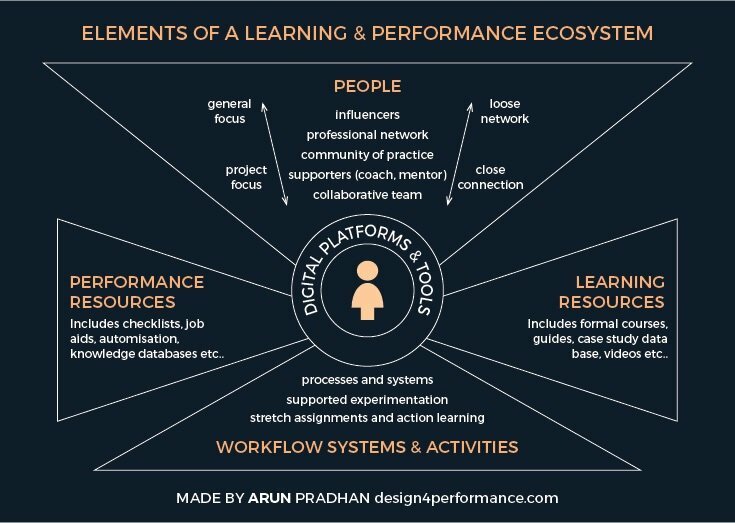 So what will it take to shift from designing ‘learning events’ to creating ecosystems and experiences that increase performance? Talk to a range of actual audience members, beyond key stakeholders and Subject Matter Experts? Solicit answers to a range of open-ended questions to explore how they feel, think, and act around the current challenge? Visit these people, in their work environment, to watch and understand more about their context and workflow? Facilitate a co-design process where diverse members of the audience can actively input, own, and develop the solution? In my experience, most people would say yes to the first point but would struggle for the rest. 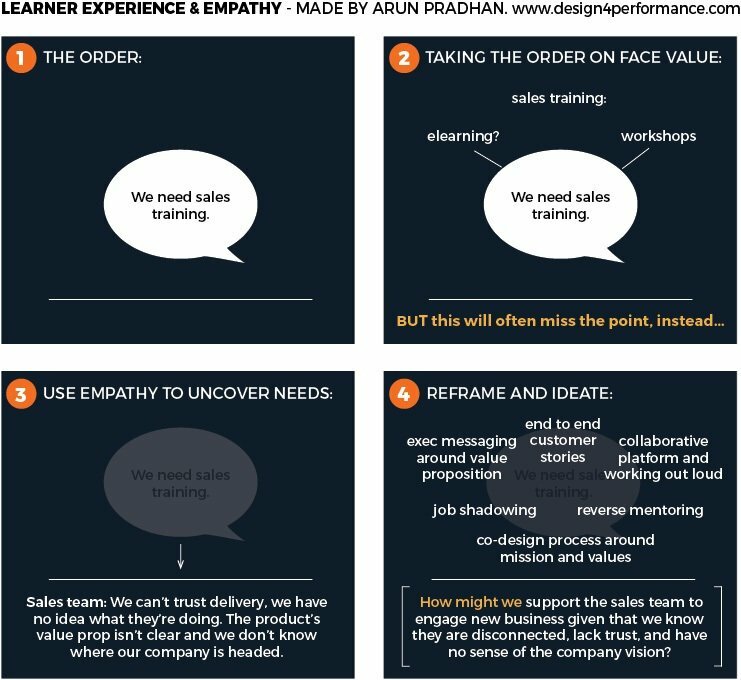 That's unfortunate because empathy is a crucial factor in designing meaningful experiences that connect with an individual’s motivation, needs and workflow. One of the most effective ways to embrace empathy is to use design thinking, which represents a mindset, process, and toolkit for human-centered innovation. I've been fortunate to run many design thinking co-design workshops with major Australian companies as part of my role at DeakinPrime. During these sessions, my go-to tools for empathy are peer-based interviews, observation, and almost always personas. We support groups to quickly share interview data, theme them using card sorts, and draw insights from them. Next, we primarily work with 3 personas, which I've found to be the magic number. The group develops them until they shift from being 2-dimensional characters to people we actually care about and understand (see the video on this page for more info on our end to end design thinking process). We use the common performance model of 'Knowledge, Skills, Motivation and Environment' to establish blocks and key strategies, however, I've recently found that to be limiting when we really dive into someone's head and heart. Instead, I've found myself breaking 'knowledge' into concepts (or mental models) and information (or facts). And, in addition to motivation, I add mindset to capture the attitude and potential mental blocks that might prevent change. Motivation: Could benefit from WIIFM messaging, recognition, peer testimonials. Mindset: Could benefit from coaching, mentoring and opportunities for reflection and self-awareness. Information: Could benefit from spaced recall if it needs to be memorized, or just in time knowledge base. Concepts: Could benefit from case studies, infographics, explainer videos. Skills: Could benefit from deliberate practice, stretch projects, simulations and scenarios. Environment: Is often out of scope for most of our projects and requires broader change strategies. 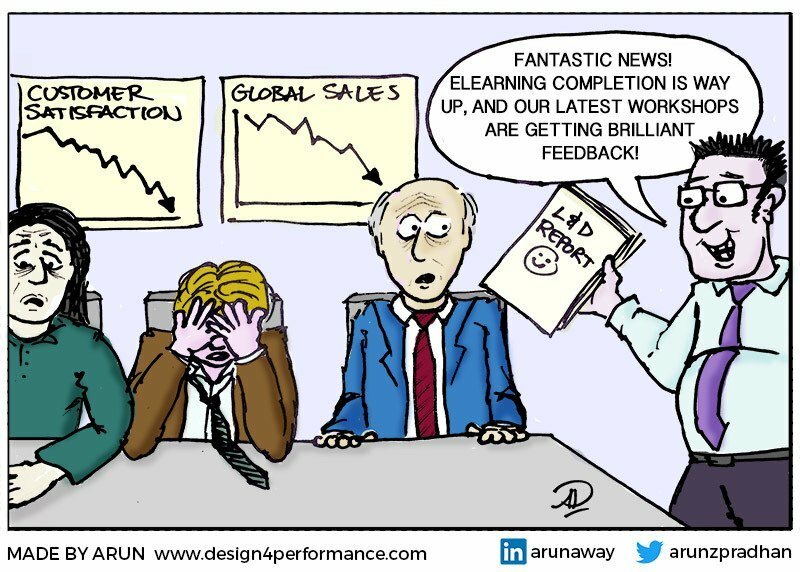 If you’ve been in Learning and Development for 5 years or more, you can probably think of an example of a brilliant learning and performance solution that you helped to implement… which addressed the wrong problem! At this point, I often think of Stanford's Tina Seelig who coined the term 'Framestorming', which involves brainstorming to help define the question and reframe a problem before jumping to the solution. 5 Whys: don't let kids monopolize 'why' questions! Qualitative interviews can benefit from asking a series of 'whys' which explore causal relationships and dig into the root cause of problems. The reframing matrix: This simple matrix considers a problem through different lenses. E.g. it might reframe a workplace safety issue through the lens of processes, people, culture, equipment and so on. First principles: Elon Musk explained this best when he outlined the danger of relying on assumptions and analogies. Instead, he describes an alternative: "You boil things down to the most fundamental truths and say, 'What are we sure is true?' … and then reason up from there." Drawing on diverse people & inputs: including broad inputs including 'extreme users' is crucial to bring greater insights and ideas to the process. Exploring the cost of doing nothing: this can act as a motivator for stakeholders but also identifies the real problem through the imagined negative impacts. In doing so this might add clarity to what the real problem really is about. Once you've taken a human-centered approach and reframed the question, the next step is brainstorming a solution. At this point, it's time to stop thinking like a 'learning professional' and see yourself as a 'performance hacker'. Sure, 'hacker' is an overused term that helps white collar workers feel edgy and dangerous but, in this instance, it represents a useful mindset shift. It's about being outcome driven and using anything and everything around you to achieve your goal. Rather than seeing every problem as a nail, and smashing it with the 'hammer' of formal training, as a performance hacker you’ll expand your toolkit to consider the full performance ecosystem to achieve results. Other examples of performance hacking might include populating Sharepoint with curated content rather than creating suites of eLearning on a Learning Management System. Or using a chatbot in Slack as a pseudo KMS rather than producing product training. 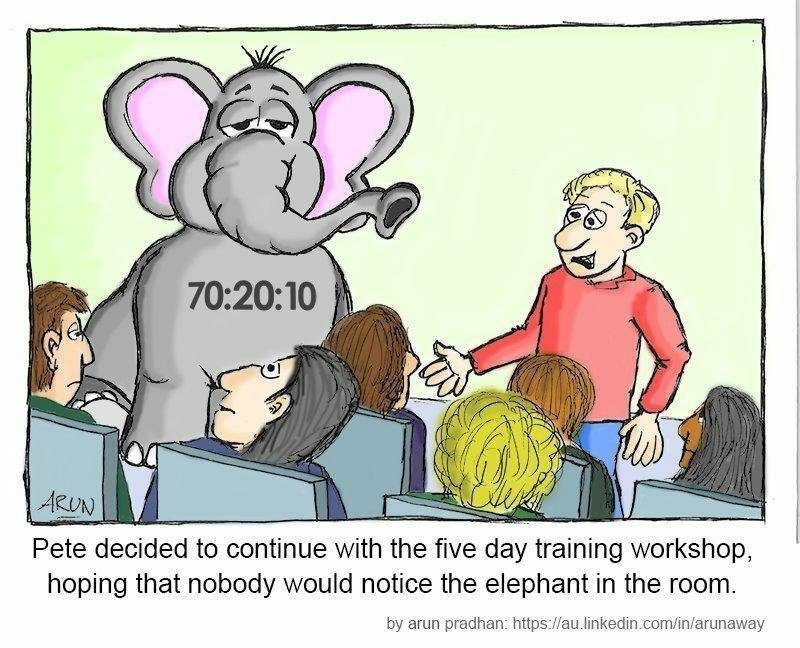 Or changing KPIs and establishing a reward and recognition program to target behavioral change rather than running a training workshop. For a real world example, refer to this overview of the design thinking process which I referred to earlier. It discusses how we reframed a job about compliance training using the methods outlined here. The hacked solution ditched eLearning modules, that were going to train brokers about being compliant, and replaced them with an xAPI driven sales portal, that supported a streamlined workflow that inherently made the brokers compliant (and helped them sell more as well!). Just as an architect designs spaces that influence our behaviors and experiences, so too can we begin to populate an ecosystem of networks, resources, platforms, and tools to support high performance. This isn’t about pushing content or controlling training, it’s about optimizing the workflow with a multitude of inputs. You might notice that I've identified 'performance' and 'learning' resources as separate elements. They often overlap, but I define performance resources as tools that help you get the job done and often remove the need for learning as a result. 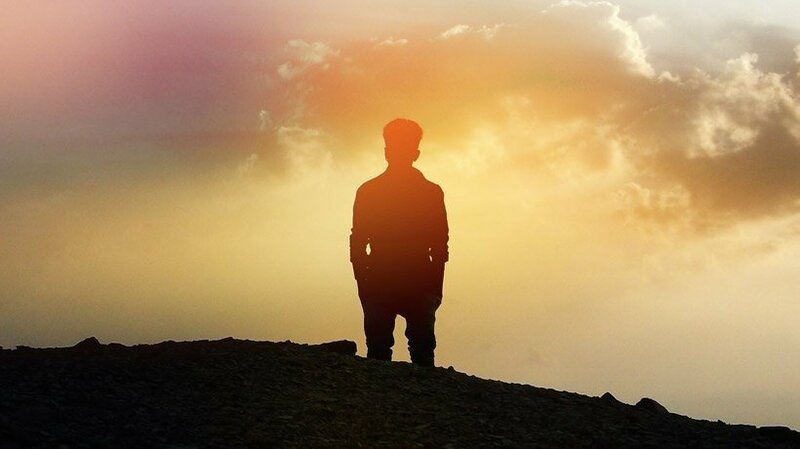 Learning resources support conscious development to overcome particular challenges and improve performance, often presented as micro-learning or on-demand content that can be pulled at or near the time of need. While I don't want to overstate them, important considerations here are the digital platforms and tools that can assist collaboration, access to just in time resources, provide feedback and so on. Fortunately, the market in this area is currently growing beyond traditional Learning Management Systems, into many hybrid and more useful alternatives that encompass LRS, KMS, CMS, and enterprise social networks. Open APIs also mean that various systems can integrate and play nicely. Of course, technology is only an enabler, and a huge part of a performance ecosystem is the ability to collaborate and connect with your team and network. The final point on this topic is to note that ecosystems are inherently organic and successful ones will continue to grow and adapt long after Learning and Development professionals walk away from them. Last year my work at DeakinPrime provided the opportunity to co-design an induction program for a government agency. Among familiar induction requirements, the organisational values and focus meant that they wished to provide an experience that reflected their commitment to digital innovation. Our co-design process explored a number of options including using chatbots as a virtual agent to support the induction process. The stakeholder and co-design group was excited about this, we loved the idea and, in the old days, we might have started developing it immediately. In this instance, we created low fidelity prototypes, not just to validate ideas we’d already committed to, but to fail fast as we tested out our biggest assumptions and learnt more about our audience group. The chatbot prototype consisted of a short and simple comic, showing one of our personas interacting with the chatbot on the first day, first week and first month. We gave these to our co-design group and charged them to ‘field test’ the approach with their colleagues. To our surprise, at least half of the people interviewed hated the idea. Further ‘why’ questions revealed a mix of issues including resistance to using personal phones for work messages, a group who found it ‘patronizing’, and others who were worried that the chatbot might reduce face to face time with managers and peers. The chatbot was sidelined and all of these insights helped our other designs moving forward (fortunately our prototype for an augmented reality scavenger hunt went down brilliantly and is in production now, stay tuned for a case study on that later in the year). Such low-fidelity prototyping is now a part of our co-design process and has been remarkable for helping us define what not to build as much as what to build. If you build it, they won't necessarily come. New elements to an ecosystem, workflow or performance solution require an engaged campaign to support change. Using a co-design process fosters buy-in from participants who will become your first group of change champions, but they won’t be enough. I tend to use simplified versions of Kotter's 8-Steps Process for Leading Change to help design this aspect, more as a checklist than a rigorous model. This will often involve developing a consistent brand and tag lines to the define the campaign, complete with information about audience groups, required behavior changes, and key messages. One recent campaign involved creating a suite of characters and tag lines that will be rolled out to around 50,000 people globally. The campaign assets included the usual eLearning, videos, toolkits, but also campaign posters and comics that were posted everywhere from the company's collaborative platform to office lifts. Somehow, Kirkpatrick’s four levels of evaluation has cornered the market on evaluation in Learning and Development. That’s unfortunate because it’s largely tied to the event based model of training we're trying to relegate to history. Worse, it’s ‘reaction’ level runs counter to the reality of learning. That is, the happiness of a learner after a training event has been shown to have little correlation to actual learning, particularly in the context of Bjork’s desirable difficulties. In effect, such narrow measurement culture has contributed to the irrelevance of Learning and Development. Is the scene from the following cartoon familiar? What can be done to change this? Honestly, of all the areas I've listed, I often feel like a frustrated novice when it comes to measurement. The causal relationships in learning and performance are complex beasts, which is why I'm advocating designing broad experiences to support them. Asking which piece of an ecosystem was decisive in an outcome is ambitious, bordering on ill-advised. And yet, understanding impact, or lack thereof, is crucial to for continuous improvement, not to mention demonstrating Learning and Development’s Return on Investment. A while back, Jane Bozarth identified some interesting models that serve as options beyond Kirkpatrick. xAPI can be used to expand data points to the world outside the Learning Management System. For example, it could be used to identify high performing sales people by integrating into Salesforce and cross check what resources they use, through an integration with Sharepoint, and what articles inform their results, with a Chrome plugin. Finally, we can learn from marketing professionals who have evolved their industry into a data-driven business, by using simple techniques like split testing. I have a tendency to get addicted to video games. There, I said it. Over the last two years, I've been playing the popular strategy game Hearthstone against my 11-year-old son. Over that time, I went from slaughtering him (don't worry, it's character building!) to me losing almost every game. The difference? I play for fun but, as a learning geek, I still apply deliberate practice and often reflect on my gameplay with the view to continually improve. And I have improved. The only issue is, my son improved much, much faster. His secret? He accessed top players via YouTube; watched and analysed the international Hearthstone tournaments (yes, that's a thing! ); started friending people who wiped the floor with him in open competition; observed their games; and asked them to observe his, gaining valuable feedback to enhance his own deliberate practice. I’m currently working on an app called Learn2Learn, which will support people in workplaces to ‘learn faster, smarter, and deeper in the real world’.  When I looked at various companies, job roles, and industries for inspiration, the two groups I was drawn to most were great examples of autodidacts - developers and gamers. It’s estimated that an amazing 15% of YouTube is dedicated to gamers and the gaming community. Whether it be Agario, Minecraft, or the latest console game, this community has ‘working out loud’ in their DNA. Narrated walkthroughs and experiments on YouTube aren't just a must for any serious gamer to engage with, they're a multi-million dollar industry (heard of PewDiePie? Well he earns over $15 million each year off his gamer themed videos!). The games themselves are processes of continual stretch projects, as they increase the challenge to match skill improvements. Failing is part of playing and mindsets around curiousity, growth, and discovery are commonplace. In hindsight, it's sad that I had to look to gamers for an example of a robust learning culture rather than the Learning and Development industry, but I believe we can change this. To be relevant and take the leadership role that is being demanded of us, our profession has to walk the talk by being the people who embrace change and invest in our own learning and performance ecosystems. Having go-to collaborators in my DeakinPrime team around key areas such as leadership, coaching, xAPI, systems architecture, blends, UX, and eLearning (you know who you are Kelly, David, Cam, Mike, Michelle, Dan, and Richard, to name but a few!). Having external mentors in areas that I've consciously developed myself in (e.g. at the beginning of my design thinking journey I relied on an experienced and generous design thinker in the tech industry - thanks, Kurt!). Having go-to people I can draw on for coaching conversations to support me through blocks and challenges. Connecting apps and digital platforms to support seamless integration between work and learning, even combining apps to embed key content via spaced recall (I currently integrate Trello, Slack, Linkedin, Twitter, Pocket, and Evernote in ways that even I think are geeky, but I'll write about that in a future article). Actively developing meaningful networks via LinkedIn and Twitter to quickly explore, find and share gems in the fire hydrant that is the internet. Looking for opportunities for stretch projects and pushing my comfort zone. Accessing trusted learning content in the form of selected MOOCs, Lynda.com, iTunesU, and the Great Courses on Audible. Baking in reflective moments into my personal work processes and daily workflow. Constantly challenging myself to explain and simplify my experiences, thoughts, and lessons via cartoons, infographics and blog posts in articles like this one. That's just my version, what does it look like for you? Or, if you're at the beginning of your own journey, what will it look like over the next few months when you really commit to developing it? That concludes my top 8 skills that, as a learning professional, you can use to make a real impact on people and organizations at this crucial period. Even better, they'll also future proof your career along the way! I’d love to hear your experiences with them, any additions you might have, and feedback in general. Please feel free to leave a comment and, if this has resonated, connect with me on LinkedIn here and Twitter here to continue to expand our mutual networks and performance ecosystems ;). Many of the images used in this article have been adapted from my upcoming Learn2Learn app which will be launched by July 2017, and which you can find out about here.